I have been a follower of Split Coast Stampers for many years. 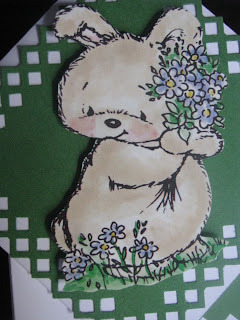 I can highly recommend this community of paper crafters and stampers. I was most interested in making this week's tutorial - the Side Spring Card. 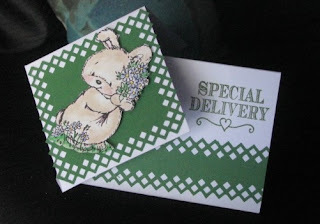 I have always been interested in the various combinations of cuts and folds that can make a card much more interesting. 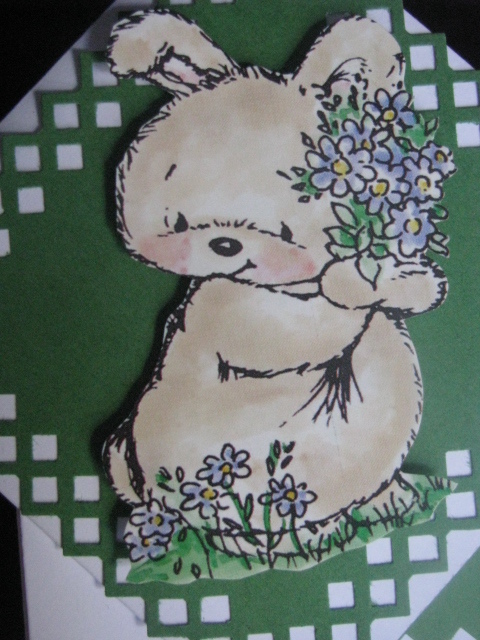 This is a variation on the Spring Card which I used to make a few years ago but I have sadly neglected & thus almost forgotten in the meantime. However as I work mostly in metric, I played around with sizes to get a similar design from an A5 Card which is the common card size here in Australia. So here is the sizes and score lines for an A5 adaption of Beate's Side Spring Card. Score cardstock at 7.5cm on the short side. Then continue with the rest of Beate's excellent easy to follow directions here. Thank you Beate for all your work in creating the many tutorials you do for us and inspiring us to do different things with our art. Thanks for doing the conversion, Michelle. Saves me the trouble. Love split coast.